In recent years, some have said that rigid Expanded Polystyrene (EPS) foam was obsolete for below-grade applications, but Cambruzzi disagrees. “It has a long history of excellent performance in both horizontal and vertical below-grade applications,” he says. 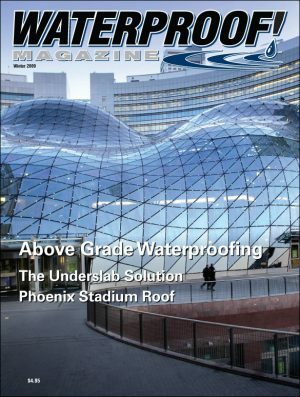 The key is understanding the material, its strengths and limitations, and ensuring that the waterproofing design takes these traits into consideration. 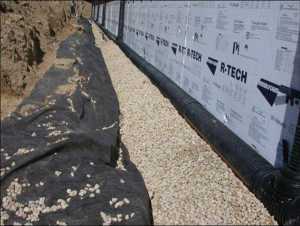 One of the most common construction applications for EPS is use as a protection course or drainage layer on vertical below-grade work. Dimple drain sheets, fiber mats, or inorganic mineral wool are sometimes used instead, but Cambruzzi says EPS has real merit. It’s true that other materials require much more labor. Foam boards are simply pressed against the newly waterproofed wall, where the tackiness of the spray-applied membrane holds it solidly in place until the wall is backfilled. Drain sheets, on the other hand, require mechanical fasteners, transition strips, and other components. While Mar-Flex does sell rigid foam boards, Nichols insists there are better options on the market. 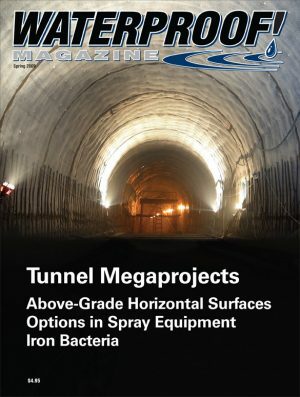 “I’d rather have it than nothing, but there are better choices in the waterproofing world,” he says, although he admits, “A lot of times it’s the best answer for a foundation.” His major objections are that the grooves in the drain board fill in, and that foam compresses under the weight of the backfill. Cambruzzi says current foam boards on the market have resolved those concerns. 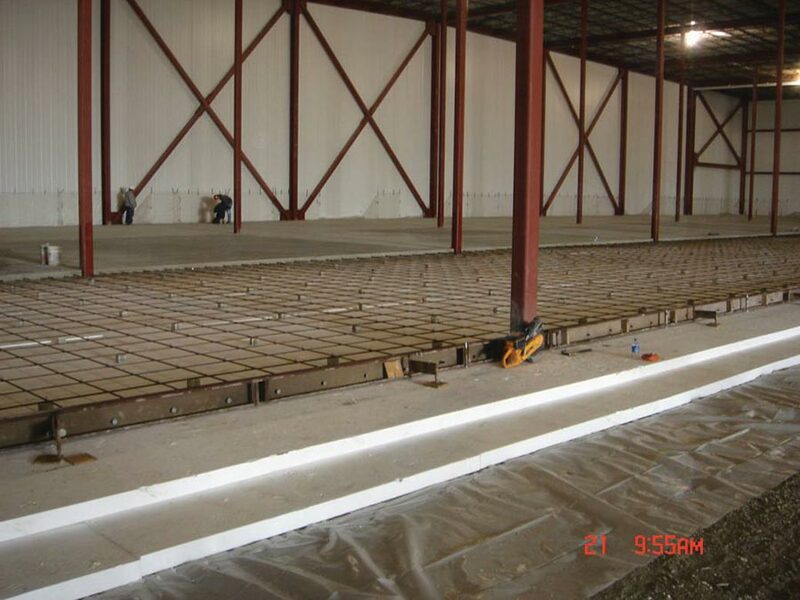 Another common area where waterproofers have to deal with foam is when they are used in underslab applications. Like vertical above-grade work, a membrane is used to eliminate moisture coming through the slab, while the foam keeps the concrete warm. 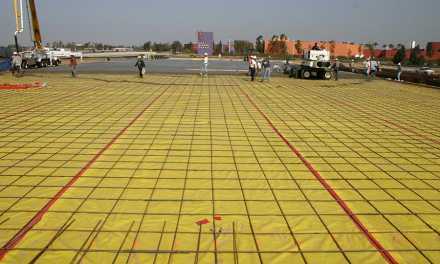 This type of work is especially common with in-floor hydronic heat or any time the slab itself has heating or cooling elements within it. 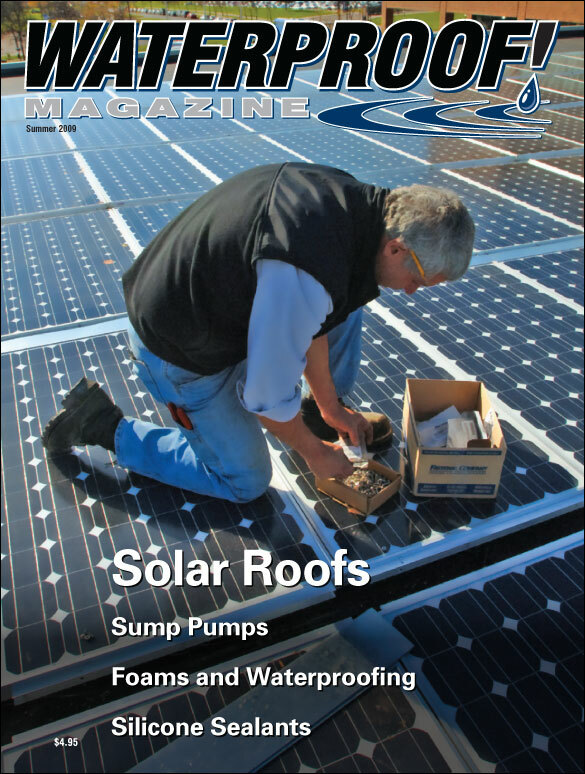 Installation guidelines vary on whether the foam should be installed on top of the moisture barrier, or beneath it (see The Underslab Solution in the Winter 2009 issue for more information), but the challenges are the same. 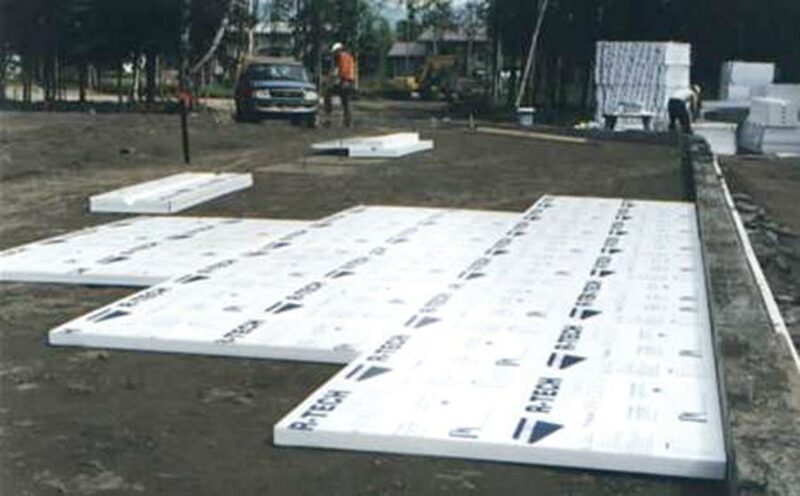 The biggest risk installers face is that foam sheets, often only an inch thick, will break and chip before the concrete slab is placed over them. Sheets that are thick enough to avoid breakage cost more, and provide negligible additional energy savings. Luckily, there are good solutions on the market. The most important step, regardless of the product installed, is to ensure the subgrade is flat, level, and properly prepared. Cambruzzi, at Insulfoam, says manufacturers can manipulate the compressive strength of the foam to create a more flexible product. “The higher the compressive strength of the foam, the more rigid the product is, and the more susceptible it is to breaking,” he states. “By taking some of the density out of the product you’ll get a foam that’s more jobsite friendly.” He notes that even a 25 psi foam provides resistance of 3,600 pounds per sq. 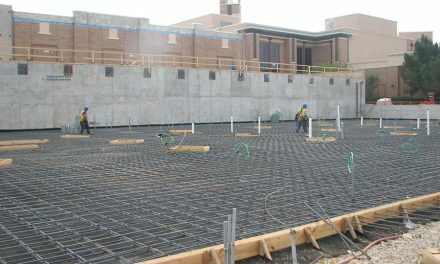 ft., plenty of resistance for most underslab applications. His company also offers foam with a polymeric film on both sides, which helps to keep the EPS from chipping and shattering. If it does break, the film holds the pieces together so the effect is negligible. “In a below slab-application, an unfaced or unskinned product performs fine. But the film makes it more jobsite durable, more moisture resistant, and less likely to be damaged during handling and installation. 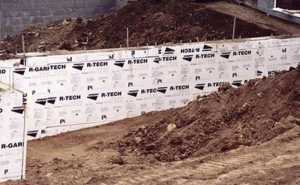 The plastic film on Insulfoam sheets does not serve as waterproofing however. 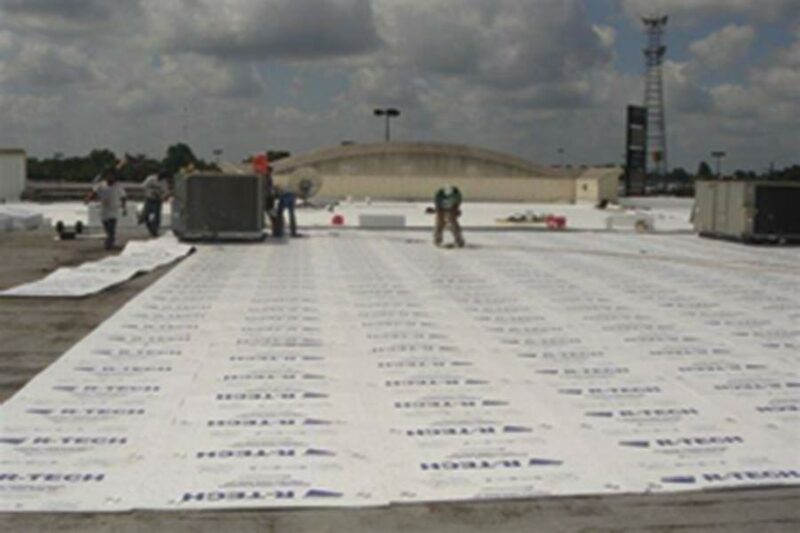 For true waterproofing and insulation in a single product, several companies offer underslab products that combine a flexible EPS core with two layers of vapor and moisture resistant materials. 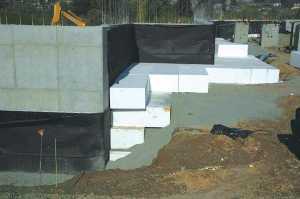 Northwestern Ohio Foam Products markets the Barrier and BarrierXT, both of which provide a flexible insulated underslab barrier. The rolls are 60 feet long, so instead of having gaps every 4 and 8 feet, there are just a few seams. The product has a self-taping flange on one edge that makes these easy to seal. Of course, another advantage of a flexible core is that the installer doesn’t have to be as exacting when installing the sub-base, which saves on labor costs as well. 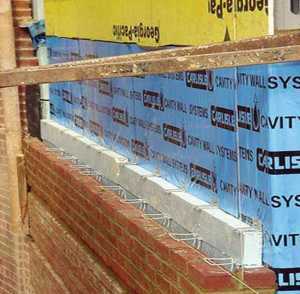 The flexible EPS foam in the standard Barrier is 3/8 inch thick. The BarrierXT has ¾ inch. The moisture barrier is 3 mils thick on both products. A third area where waterproofers often have to deal with foam board is commercial roofing. Like underslab insulation, the placement of the foam varies from job to job. 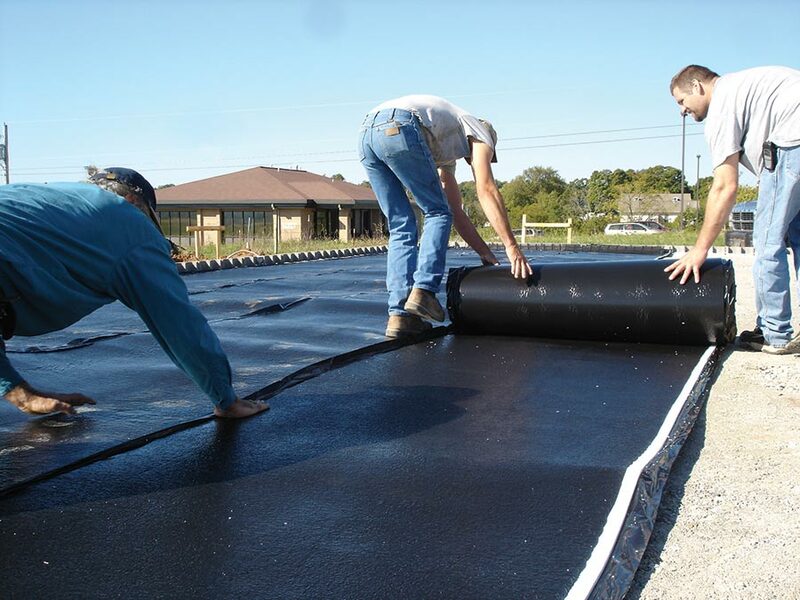 On some roofs, the foam is installed over the membrane; in other applications, it is placed below it. 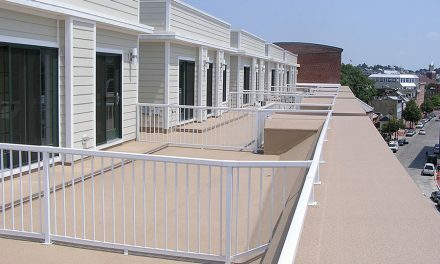 The major challenge in this area is that roofing membranes often require heat and/or harsh solvents, both of which are incompatible with foam. Solvents are not only bad for foam, but they’re bad for the environment and the installer’s health. 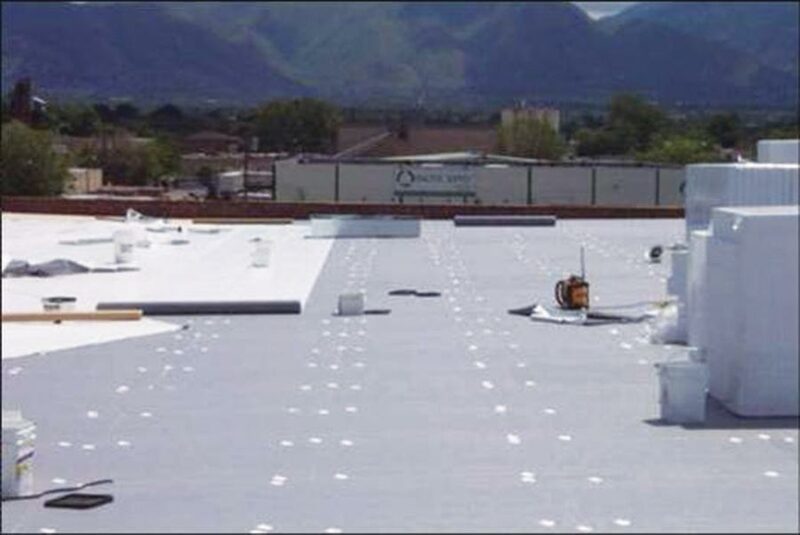 Because of this, many roofing suppliers are moving to more environmentally friendly products; singly ply membranes, adhesive tapes, and heat welded seams. So solvents are becoming less of an issue. Another common concern is moisture resistance. 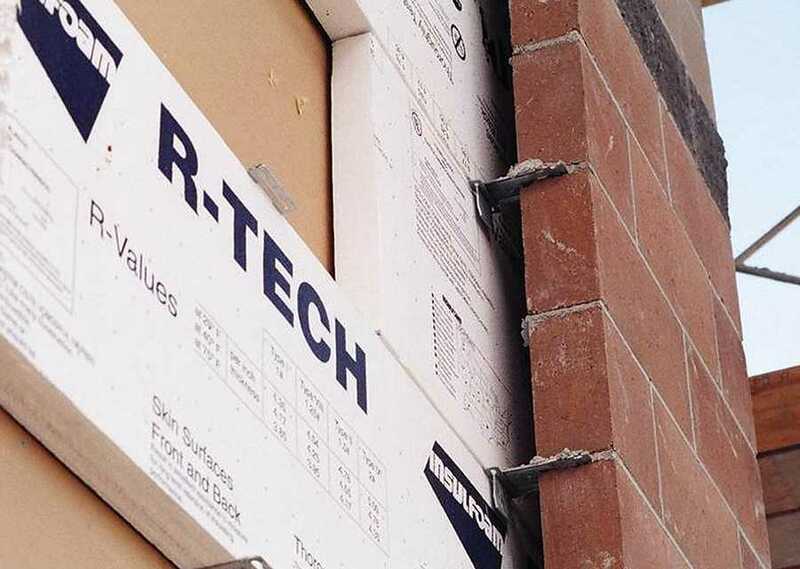 While foam is not as moisture resistant as, say, a dimple drain sheet, it does outperform other insulation options, like rock wool or open-cell foam. Cambruzzi points out that although EPS foam will absorb some moisture from saturated soils, it readily gives up that moisture when surroundings dry out. “Over a seasonal or annual cycle, that foam will continue to perform, because it readily gives up that moisture,” he states. With the rising interest in green building, the sustainability of expanded polystyrene is also a topic of interest. EPS is a petroleum-derived product, and requires a significant amount of energy to make and transport. 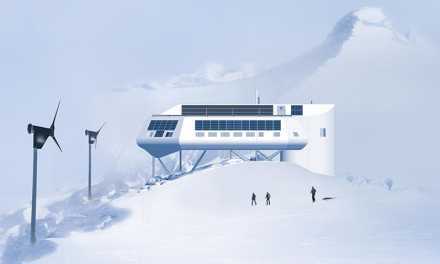 But according to a recent study published by the EPS Manufacturers’ Association (EPSMA), the insulating value of the foam saves more than 100 times more energy than was used in its manufacture. 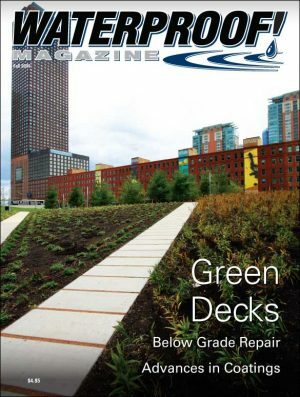 “EPS is environmentally friendly, 100% recyclable, containing no HCFCs or formaldehyde and can contribute toward LEED credit requirements,” the report states.